According to the United Nations Food and Agriculture Organization,an area of rainforest the size of a football field is destroyed every second—that’s an area the size of Manhattan every three hours. Join us for an evening of informative presentations by some of the nation’s leading experts on the use of recycled plastic lumber and domestic woods in boardwalk construction and decking. We have solutions that respect the look and feel of a traditional boardwalk and can make New York City’s Boardwalk a model for an exciting, sustainable future. For more info on Rainforest Relief and NY Climate Action Group, visit www.rfny.net. Surely no one could blame us for our skepticism. All one has to do is look around at what the Corporations have done to other neighborhoods. Little Italy has shruck to a mere couple of blocks. The East and West Village has been over run by cookie cutter chain stores that could care less about the neighborhoods of this city. This is the way it works with Corporations. They open up a shop whether it is aproprate to the area or not, if it doesn’t do well they use it as a tax right off and launder their money. I call them Ghost shops! And who sez once they bulldoze they won’t leave a vacant lot! People say it’s not personal. I live here this is my home. I am not against progress. Where are the subsidy’s for the people that live and work here. The Residents of this area! Chuck, you’re the moron in this equation. Instead of stating your cause in an adult manner you choose to speak like an idiot. Take it down a notch. We are all in favor of doing what is good for Coney island but please be an adult and choose your words more carefully. One way to recycle a hardwood deck is to remove the boards and flip them over. Plastic on a deck, after about three years the screws used to hold them down the plastic boards start to strip the plastic boards and they start to pop. Concrete cracks in cold weather, has to pitched 1/4 inch every foot for drainage. With a good rain or snow storm who knows how long it will take to clear up. 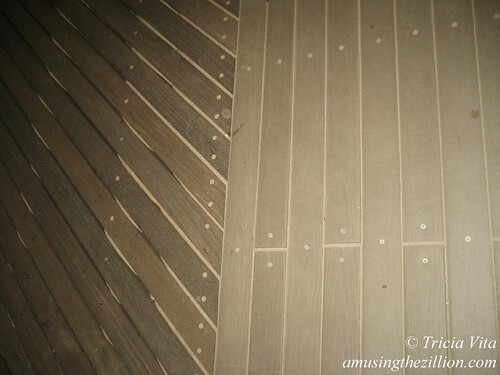 Wood gives, the space each board allows drainage, to evenly distribute the melting snow and rain, between the boards. Use a little Brooklyn common sence Coney Island needs Coney Island people to make decisions for Coney Island . Save all the Mom and Pops. The land marks of Coney Island. The Boardwalk is one,the Cyclone, the Parashute, the old rides. tell it to the people who have fallen through the rotting wood of the boardwalk. Look, there’s got to be some sort of middle ground here. OK, so maybe we don’t want to use tropical hardwood for the Boardwalk’s decking, but we don’t want a concrete sidewalk either. Is there not a manufactured engineered wood product that can be made into boards used as a substitute? I think so, and probably at a cost that is less than, or at least competitive with the traditional tropical hardwood solution.